. 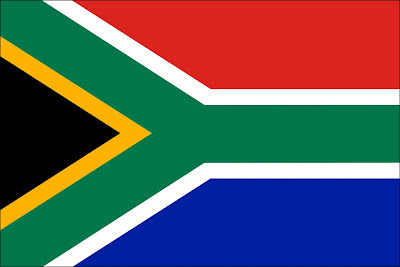 : Scrap Africa's South African Flag Challenge! Scrap Africa's South African Flag Challenge! 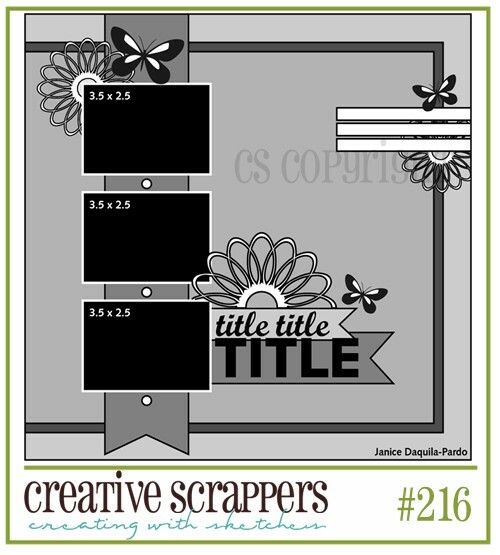 I simply love this Scrap Africa challenge!!! It's so original and have limitless possiblilities!! Here is what this challenge is all about . . . It should be yellow and not orange, and it should be red and not pink." I told you this is a FUN one!!!! Here is my entry for this challenge . . . I love this photo of my hubby and son! I love to see them this close and forming a bond that will last for the rest of their lives!! This wasn't always the case with these two! Don't get me wrong . . . the love was always there, but their personalities are so different that we were bound to have major differences!! In the last few years this has started to change, and they are working hard to form a solid and beautiful father-son bond. And I just love to see this little miracle happening! I love both of them so much, and as a mom and wife, you kind of feel in the middle when they clash, and I enjoy to see them now playing, enjoying and loving each other more than ever!! I used Echo Park "A Boy's Life" papers and banner for this layout! I love the fun and bright colors. I chose to work with the blue, red and yellow. I also used little bits of grey and cream. 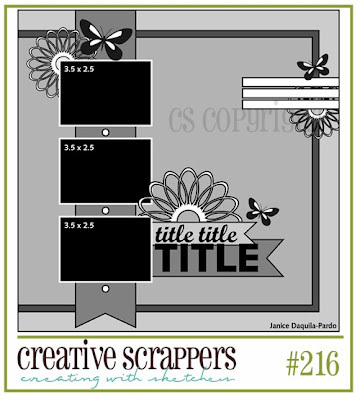 Additionally I've used this Creative Scrappers sketch for this layout. Here is a look at this versatile sketch . . .
That's it from me today! Have a great day!! Gorgeous layout Roulien. I love seeing your pages.